When I was in high school I was a big time over-achiever. I took just about every Honors and AP class I could get my hands on. I did OK with all of that for a while, but things really caught up to me during my senior year. Between a full load of classes (all of which were AP or Honors), a part-time job, and volunteering at my church and at local hospital I was maxed out. I was so stressed for most of that year (and a good portion of the years leading up to it) I hardly allowed myself to enjoy all the great things that were going on during my Senior Year. 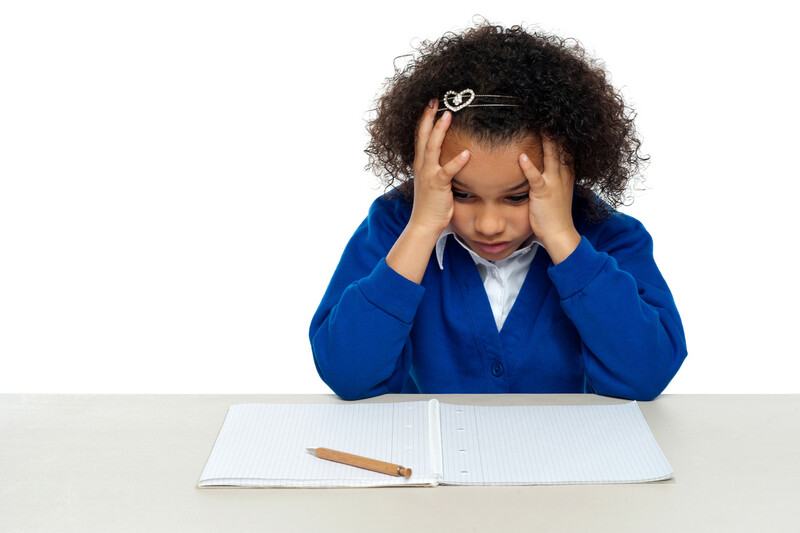 As stressed as I was then, kids and teens today are experiencing even higher levels of stress. 59% report that managing their time to balance all activities is a somewhat or very significant stressor. 40% say they neglected responsibilities at home because of stress; 21% say they neglected work or school because of stress. 32% say they experience headaches because of stress; 26% report changes in sleeping habits. 26% report snapping at or being short with classmates or teammates when under stress. As I was reading this article it hit me that much of the stress kids and teens are facing have to do with busyness. They have so many things they’re involved in and so much pressure from society they can’t keep their head above water. And who can blame them? Just remembering all the expectations I put on myself and others put on me back then is overwhelming enough. But there is even more pressure for today’s kids. And this is where I’m learning about the power of minimalism. Minimalism is about clearing the clutter from your life to make space for what matters most. It’s about getting rid of the things we don’t need or (if we’re honest) don’t want. All the clothes that don’t fit or we don’t wear anymore, all the gadgets we haven’t used in months, the DVDs we haven’t watched in years, and the toys our kids haven’t played with since they got them last Christmas. But it’s also about clearing out the clutter of activities that are chocking our kids time and hearts. It’s about setting limits to how many extracurricular activities they’re involved in so they have time to succeed in school. It’s about limiting the amount of media they consume so they have time to eat right, exercise, and get a good night’s sleep. It’s about helping them prioritize what they need and want to do by learning to say no to the many opportunities and activities that come their way so they can say yes to what matters most. It’s about modeling for them what it means to have margin in life by not doing everything you can do so that they have breathing room. And it’s about guiding them to the place where they understand that more activities and more stuff leads to more stress and less happiness and success. Looking back on my time in school I realize I was trying to overcompensate for my dyslexia by taking all the “smart kid” classes. I thought if I could look smart then I would feel smart. I thought that more activity and more stuff would fill the void and make me feel like I mattered. I thought all of it would keep me from missing out. If anything I missed out on some great things because I was so busy doing too many things. I was so busy with activities and overachieving that I missed out on time with friends and just hanging out an enjoying life in between all the stuff. I think what kept me so busy and cluttered is what keeps many of us that way. The fear of missing out. The fear that, if we’re not involved in this activity, on that team, don’t have that gadget, have spare time, or don’t make a certain amount of money then we’re missing out, we’re not successful, and we’re doing life wrong. And that’s the same pressure we’re passing on to our kids. It’s OK they don’t have the highest GPA, aren’t the MVP or prom queen, aren’t on every team, don’t have the latest smartphone or the biggest TV, and even have some spare time on their hands. Why would we want them to trade their health and happiness for any of those things anyway? The most important things in life, like loving people, being a person of character, and making a positive difference in the world aren’t dictated by any of those things, but they can be thwarted because of those things. Let’s help our kids to live better by helping them simplify their life and be content with who they are and what they already have. Less Stuff = Less Stress. Money CAN Make You Happy. Here’s How.